If you’re looking for a professional quality multimeter that’s available on almost any budget, you might want to take a close look at Klein’s products before you decide on a more expensive brand like a Fluke. Klein makes some of the sturdiest, best DMMs (digital multimeters) around and they’re available for a fraction of the price of some of the big name brands. As with any brand of measuring instrument, each of these tools is best for a different purpose. We’ve gathered here some of the best of Klein’s impressive line-up of products for your perusal. Where the company really shines is in the cost-value ratio of their products, you simply won’t be able to find anything on the same level for remotely near the price. In general, when you go with a Klein you can expect a high-quality, inexpensive multimeter that doesn’t skimp on safety or features. That’s exactly what you need as an entry-level technician or an advanced home handyman. Clamp meters are always great, and they make one of the best tools for checking the load current of almost any device. They’re also quite a bit safer since you won’t have a probe in direct contact with a live line. This meter is rated at a CATIII 600V as far as safety goes, which makes it great for pretty much anything after the box. It’ll probably also be serviceable within the fuse box, but don’t push your luck and go any higher up the “chain”, you’ll want something rated as a CAT IV for that. Most clamp readers are limited to reading AC current, but the CL2000 can read DC as well making it a little bit more functional than almost any other cheaper meter. Even better, you’ll find that it can also do no-contact detection of voltage, continuity, and diodes so you won’t need to use the probes every time. ​Really, the only drawback to this unit is that it can take a few seconds to get you your readings. This is more of an inconvenience than a true disadvantage, however, since the meter is true RMS and will be able to read even AC voltage with a pretty high degree of accuracy. It’s also physically convenient to use, it comes with a strong magnet which can hold it to metal surfaces and a place to put your probes when they’re not in use. The LCD screen is large and easy to read, as well as being backlit so you’ll be able to read it pretty much anywhere you might find yourself working. The interface on the selection knob is well thought out, and anyone with even a passing familiarity with multimeters should be able to use it right out of the box with no issue. Switching between DC and AC is done at the touch of a button. The entire unit is extremely user-friendly, even for the novice. When we tested the CL800 on some high DC current circuits, we measured up to 500 amps - quite remarkable that a meter in this price range will be up for the job! The CL800 comes highly recommended for general voltage and current troubleshooting and is of surprising quality considering the advanced features and low price tag. If you find yourself frequently working on machinery of any stripe, the Klein MM200 might be exactly what you’re looking for. 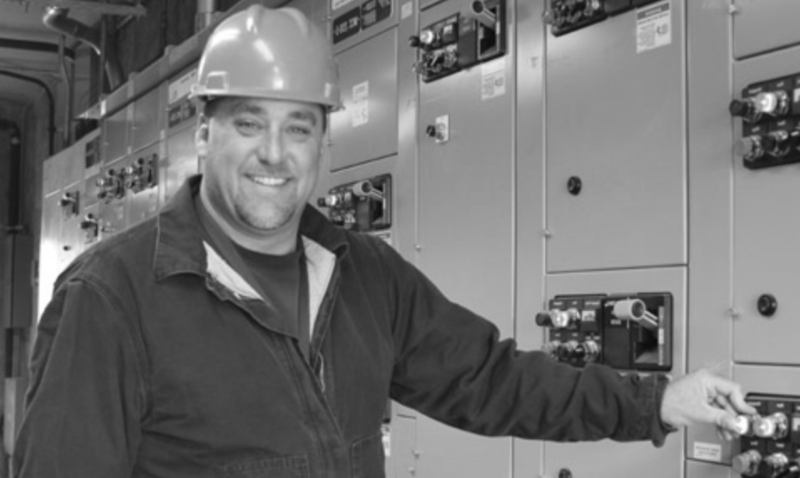 The price is definitely right, and as long as you’re not working with industrial equipment it has you covered. The first thing you’ll notice about this meter right out of the box is that although the size it quite compact, it is sturdy. A lot of low-quality meters will feel light, and it’s actually a remarkably good indicator of quality for almost any power tool. The rubber around the sides will protect it from a decent drop, but obviously, you don’t want to spike it into the ground to test that out. It will, of course, measure all of the standard electrical qualities you might want to know. It’ll cover AC/DC voltage, amperage, frequency, continuity (great for quickly testing to see if a fuse is blown!) and more. It can also cover temperature, thanks to the built in thermocouple - a unique feature considering the cost comes in at less than $50. Auto-ranging is a highly desirable feature for anyone working with machinery of course, inside the same piece of equipment you might encounter circuits in 208/230V, 12V and 24V for instance and this can save you quite a bit of time on guessing what’s what if you’re not familiar with it. One thing to keep in mind is that you’ll definitely want to make sure you’re not on the ohms setting when you test voltage. There’s no protection there, and you’ll end up with a burnt our meter quite quickly in the event you make that mistake. 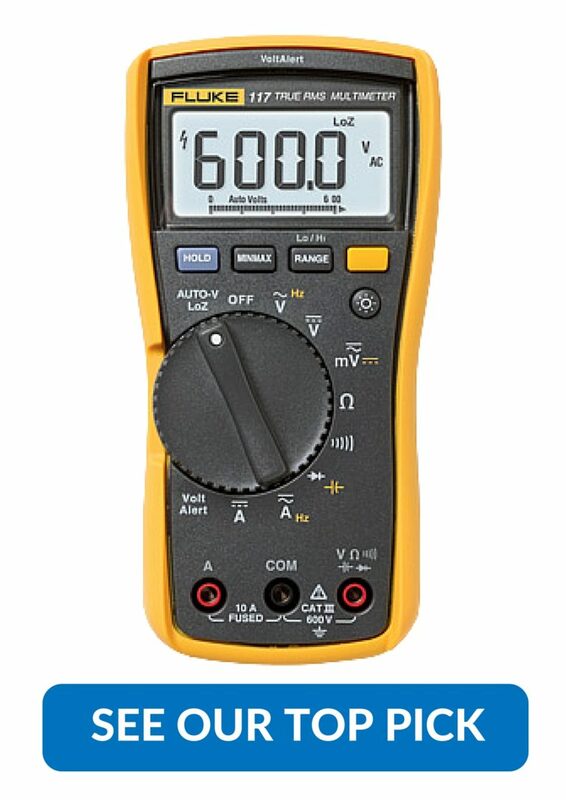 The price range makes it affordable for nearly anyone, including hobbyists who want to make sure that they have a remarkably good multimeter. It blows the competition out of the water in this respect and it’s perfect for pretty much anyone who might need a multimeter with a superior ratio of cost to quality. The MM6000 would be pretty impressive at three times its price, but coming in at just under $100 it’s simply incredible. This meter is suitable for pretty much anyone who works with electricity, don’t let the low price fool you into thinking it’s anything remotely like most meters available at its price point. It’s user-friendly, rugged, and boasts an amazing amount of features. Foremost it’ll be able to detect nearly anything you’ll need to with a digital multimeter, including AC/DC voltage, resistance, capacitance, and even the duty-cycle of batteries. Add in the fact that it’ll read temperature right out of the box and you have something of a winner for pretty much any application. Klein’s high-end products are all American made, as opposed to being outsourced, and this meter is one of those that are proudly stamped as “Made in the USA.” It shows in the construction, and the meter itself is actually rated to take a ten-foot drop as well as the CAT IV safety rating which will keep the operator safe from most electricity. You can tell that the insulation on the outer casing just feels so much more rugged compared to other test equipment. It also comes with a five-year warranty, so you’re sure to be safe from any malfunctions or errors in construction. Klein Tools has gone all-out with the MM6000. It’s particularly useful for those in the HVAC/R field and has a number of features which are quite suitable to the field including the ability to test µA for flame sensors and the aforementioned temperature reading. There is one crucial sacrifice you’ll make over a high dollar meter, though, which is that the run-time isn’t the greatest. It runs off of 2 AAA batteries, so you might want to invest in some rechargeable or just make sure you have a pack of them handy while you’re working. Really, if you’re looking for an alternative to a higher-end brand while only sacrificing a small amount of quality, the MM6000 is one of the best meters you’ll be able to find anywhere. Since it’s available for under $100 at the moment you might want to snap one up as soon as possible. Whether you’re a professional tech on a budget, or just want something that’s the absolute best you’ll be able to find without spending hundreds of dollars, the MM6000 is probably the absolute best choice you can make if you’re going with Klein tools. For the hobbyist on a budget, the MM200 is a fantastic, cheap multimeter for the quality you'll receive. It's perfect for those handy projects in the garage, but you won't want to be working on serious industrial equipment with it due to its lower CAT rating, or you risk harming yourself or the tool. If you’re working on electrical troubleshooting in the wiring of a home or business, the CL800 is hard to beat. It can read both AC and DC amperage, unlike most clamp-style meters in its price range, and is accurate enough to let you sort out troubles with wiring. Make sure you only use it after the box, though as it won’t stand up to really heavy current. For the professional or serious hobbyist, though, the MM6000 is a clear winner. No one has anything bad to say about it, no matter where you direct your attention. If you’re looking for high-quality test equipment at a low price, you’re often out of luck in the realm of tools - especially something as complex as clamp meter. Thankfully, Klein has come to the rescue in this instance, somehow creating a blend of quality and low price that’s nearly unheard of. If you’re on a tight budget, take a look at one of these three superb meters and see which one you want to add to your toolbox. You’ll never regret the purchase.